Exploring Buffalo is hands down the best hobby ever. At SOB, we are all about new, cool ways to explore our Queen City. 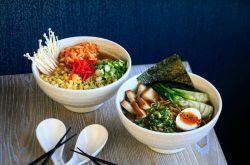 Lucky for you, we’re also fans of sharing the inside scoop. 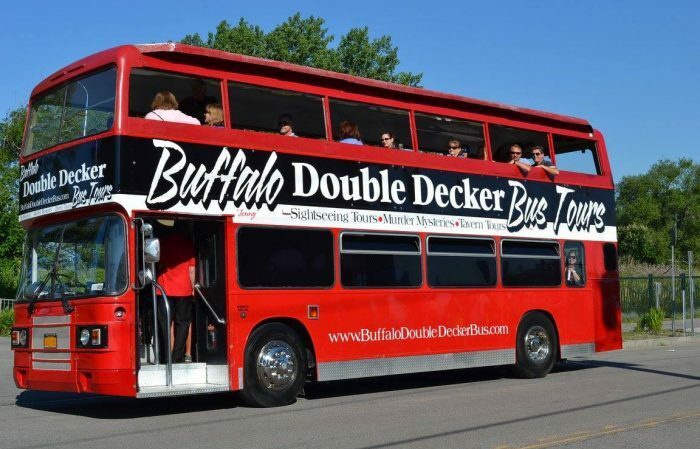 If you have a Buffalo Bucket List, add Buffalo Double Decker Tours to the top. If you don’t have a list, we bigger issues to discuss. Buffalo Double Decker Tours only started offering tours in July, and we’re already obsessed. The bus is British, and rumor has it pretty famous. Supposedly past passengers have included Harry Potter, William Shakespeare, James Bond, and Queen Elizabeth. We’re not totally convinced these records are completely accurate… but we do know the bus is the first double decker in Buffalo. Choose your own adventure. All 5 are well worth the ride. Best of Buffalo Tour- Buffalo’s history is awesome, but you knew that. This tour explores the story of how Buffalo got its name, Allentown’s many secrets, and other interesting facts. Canalside Tour- Our waterfront is pretty perfect now, but perfection takes time. Hear all about the story of going from backwater village to world renowned port. Trust us, it’s pretty incredible. Murder Mystery- If you have a weakness for solving mysteries, this “Who Done It” tour is a must. Prepare for an evening of sleuthing and clue collecting that’s based on actual historical events in Buffalo. Tavern Tours- Thirsty Thursdays are for drinking, so forget driving. That’s what double decker bus tours are for. 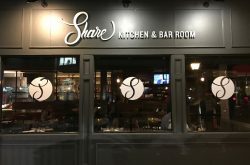 Focus on cheers-ing to Buffalo’s history instead, as you visit Outdoor Harbor Beer Garden, Flying Bison, Hydraulic Hearth, Swannie House, and Resurgence Brewery. 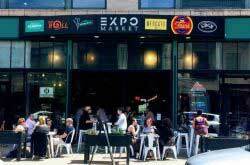 Drunk Buffalo Tour- This tour involves our favorite B-words– Buffalo, booze, and bus. Everyone loves a good drunk story, and your tipsy host will be sharing quite a few on this tour. If pre-planned tours aren’t your favorite, opt for an private tour instead. This way, you decide when and where the bus takes you and your fellow passengers. Head over to the Buffalo Double Decker website for all the details, and group text the coolest people you know to fill them in on the game plan.